Degree in Economics and Business from Brescia University. 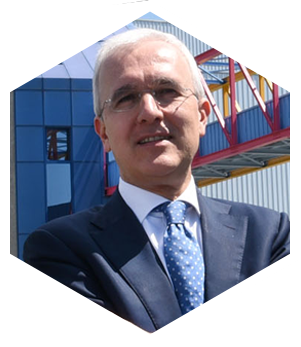 He was previously Delegate Rector for Institutional Relations at Bocconi University until he took up his position as President of A2A S.p.A. He was Chairman of the Metropolitana Milanese S.p.A. Board of Directors as well as Chairman and Member of the Boards of Directors of various Public Utility companies over the past 15 years. During his career in the field of academia he has held roles at all levels of the university system in addition to holding management positions in a number of public corporations and advisor roles in public administration. He has worked with the Italian Prime Minister's Office, the Department of Public Administration and related entities from the 1990s to the present. Within Italy, he has worked with a number of the country's Regions, local entities and public service enterprises. He has worked as an advisor in processes involving the acquisition and sale of stakes in public service enterprises. He has led numerous studies and projects relating to strategic repositioning and innovation in the management of companies, public administration entities and health centres. He has also planned, directed and taught various management training courses for the top management of public entities and enterprises. simplification and relations between enterprises and the public administration sector. He has authored numerous scientific works that have been published in Italian and international journals. He has authored numerous scientific publications: his monographs and articles have been published in Italian and international journals. Member of the Scientific Committee of the Azienda Pubblica journal. Member of the Scientific Committee of the Management delle Utilities journal. Former member of the Editorial Board of Public Administration Review (PAR). Former member of the Editorial Board of the Journal of Public Affairs Education (JPAE). He has authored leading articles and comments published in Italian financial daily Il Sole 24 Ore and Il Corriere della Sera. Winner of the Bocconi University Research Excellence Award (2011).